Once charged with the all important job of supplying the HP factory with saucy spices, London’s canals now offer residents (and visitors) a delightful change of pace. Words and photos by Magda Wrzeszcz. 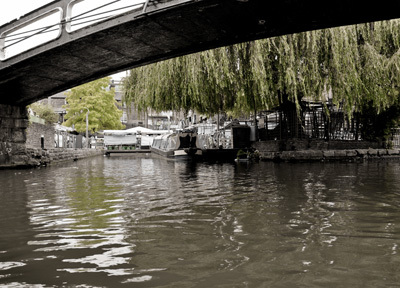 The idea of Regent’s Canal came to life in 1802, to create a link between the newly-opened Grand Junction Canal, which ended at Paddington Basin, and the River Thames in Limehouse. That’s a pretty good opportunity for a long walk, unfortunately spoiled by three tunnels – under Maida Hill (now known as Little Venice), Lisson Grove and under Islington. The canal’s main purpose used to be ferrying commercial traffic, and goods shipped via the canal ranged from lead and iron to the raw ingredients used to make Britain’s iconic HP sauce. 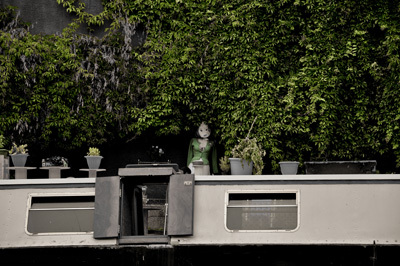 I first fell in love with the Canal while living just next to the Whitmore Road Bridge (number 43), just next to the Kingsland Road Bridge and Basin. Living in the heart of the hip and trendy Shoreditch often required a moment of calm and that’s exactly what the canal was giving me: an opportunity to walk under the sun, with my headphones on, and sink into my own thoughts. I’d often pass cyclist – as the canal became a very good alternative to commuters after the London bombings in 2005 – joggers, dog walkers, 24 party people, couples snogging on the benches… A great people spotting place. I soon discovered that from where I was living, I could easily stroll down to my favourite Broadway Market, to get a bit of the East End hype, shop for bargains in Miki Fukai‘s jumble sales, drink cheap beer in London Fields and run into Facehunter. But if I went the other way, I would get to my beloved Angel with all the tiny boutiques, great pubs on Essex Road and my favourite charity shops (highly recommended in this area – wealthy residents!). What I love about the canal is the feeling of freedom from the rest of the world. The water instantly makes you calm down and look into yourself – I had some life-changing conversations with my mum while walking there. 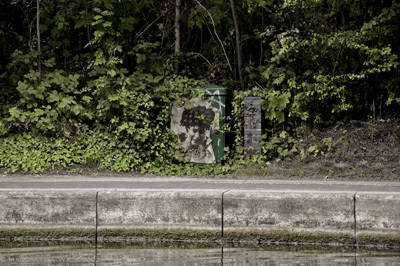 It seems like along the canal people stop pretending – like the elderly couple on the bench. 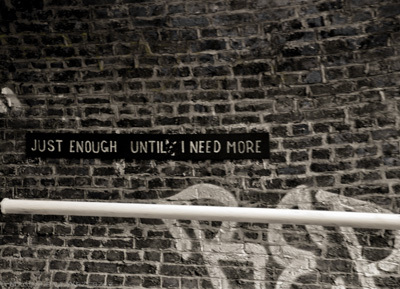 London’s canals give you the freedom of expressing yourself – an opportunity often taken by Banksy. But the most free and inspiring are all the people actually living on the boats – you get to see many of barges moored in the basins with their residents sunbathing on the docks. 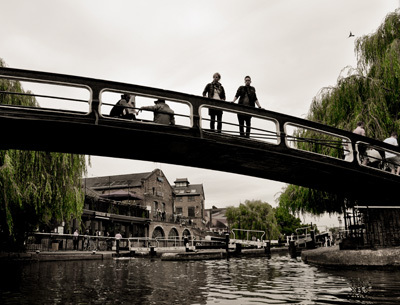 When you’re lucky, you get to see the boats go through the lock – the most famous is the Camden Lock. It’s simply addictive to watch the water levels even to let them go through. For the real canalcoholic a couple of hours at the Canal Museum is highly recommended (follow them on Twitter), whilst Jasons and Walkers Quay offer barge trips on the water if you can’t resist a cruise. 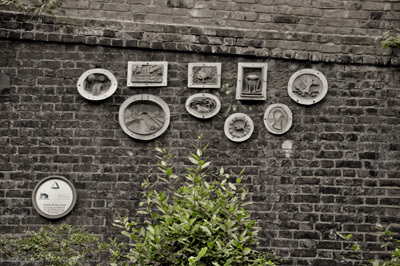 For more on the English capital check out our weekend guide to London.